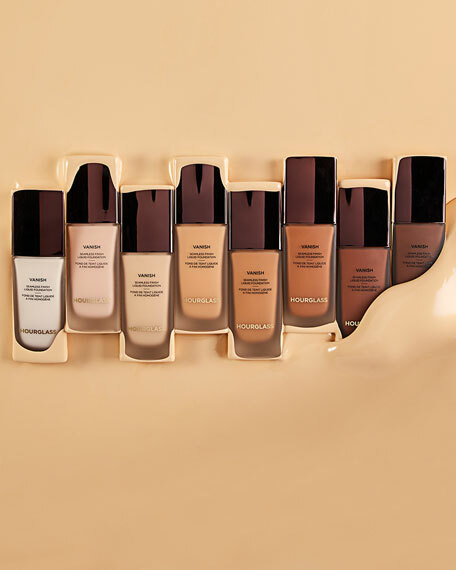 A highly concentrated liquid foundation designed to deliver instant full coverage for virtual skin perfection. This innovative, weightless formula applies like a second-skin, creating a smooth and flawless complexion with a natural finish. Highly concentrated formula delivers instant full coverage. Innovative coated pigments create a smooth, long wearing application without drying out the skin. Formulated with light-refracting microspheres to blur and create a soft-focus complexion. Fade-proof 24-hour long wearing formula lasts all day. Weightless, instant full coverage is delivered through the formula's innovative coated pigments  allowing for seamless application and a long wearing, second-skin adherence. Radiant, soft-focus finish is delivered through light-refracting microspheres, blurring and smoothing any imperfections for virtually perfect skin. 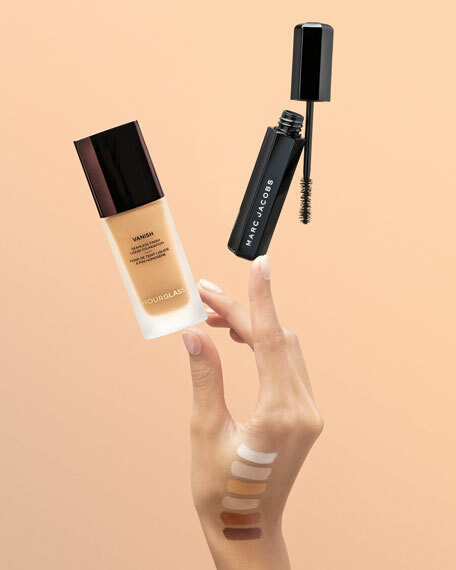 "Our Vanish Foundation Stick has become such an iconic product that I wanted to create a liquid version with the same weightless full coverage. I keep the liquid on my vanity and keep the stick in my travel bag. I love having the best of both worlds!" -Carisa Janes, Hourglass Founder. Full Coverage: Use a brush with densely packed bristles to lay down more product for instant full coverage. Use short circular motions to blend. 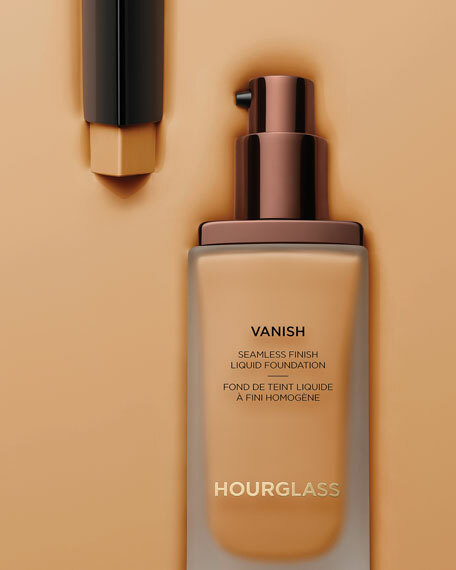 Recommended brush: Hourglass Vanish Seamless Finish Foundation Brush. Diffused Coverage: Use a brush with flexible bristles to disperse product for lighter coverage. Use long sweeping motions to evenly distribute product. Recommended brush: Hourglass No. 2 Foundation Brush. Luminous Finish: Damp makeup sponge adds luminosity. Tap and press makeup sponge to evenly blend. Pro Tip  Targeted Coverage: Mix 1/4 of a pump of foundation with Veil Translucent Setting Powder. Apply in targeted areas to hide imperfections and to set and brighten. Recommended brush: Hourglass No. 8 Large Concealer Brush. Chantecaille Anti-Aging Liquid Lumi? ?re, 0.8 oz.